Reim’s basic attacks deal 20-54 (+125% crystal power) bonus crystal damage over 2 seconds and grant 50% of the damage dealt with this effect as fortified health (reduced against non-heroes). 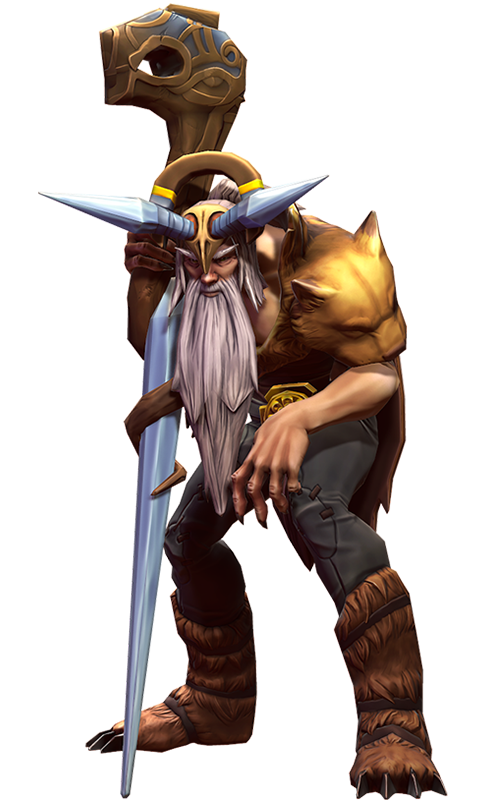 Reim’s attacks and abilities also chill opponents. Basic attacks against targets that are already chilled apply a 60% slow that decays over 0.6 seconds. Reim summons a spire of ice at a nearby location, dealing crystal damage to surrounding enemies. After a short delay, the spire shatters, dealing heavy crystal damage. 35% of the damage dealt with this ability is gained as fortified health. Damage dealt and fortified health gained is reduced against non-heroes. This ability deals 25% increased damage to chilled targets. 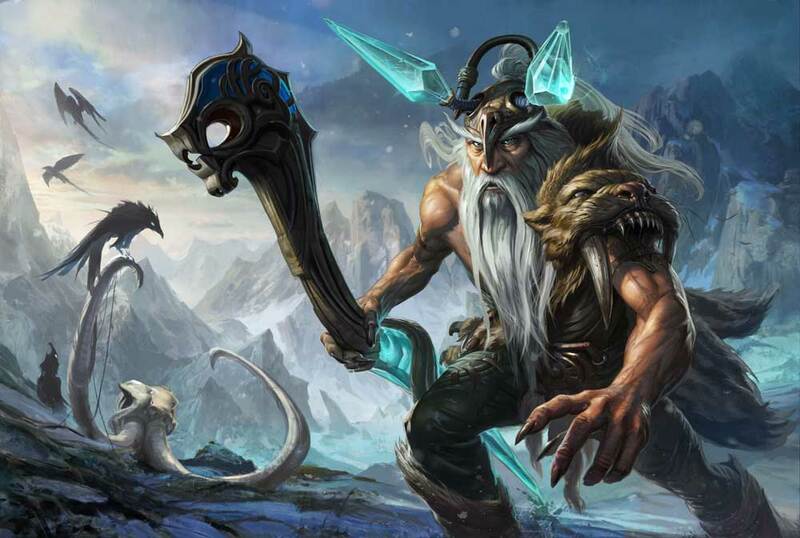 Reim deals a burst of crystal damage to all surrounding enemies (25% damage to minions). This ability roots enemies who are chilled, temporarily preventing them from moving. A rooted enemy can still attack. Reim summons an ancient valkyrie, devastating enemies at the target location. All enemies are slowed, while enemies closer to the center are stunned and take increased damage. A teenaged boy stood at the mouth of the cave, ice axe in his gloved hand, steel spikes buckled to his boots, furs wrapped round everything but his dark eyes. 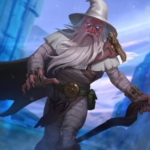 It had been more than a decade since the last daring hopeful had attempted to maneuver through the steep tunnels that wound upward inside the glacier atop which Reim, the ice mage of legend, made his home. It had been much longer since anyone had been granted an audience. “She will kill me if you don’t come home,” said his stout Grangor companion. The boy patted the Grangor on his snow-dusted shoulder, then began his slow, slippery ascent. “Lesson one,” grunted Reim, planting a boot in the center of the boy’s forehead. “Leave me alone.” With a little nudge, the boy slid back down the icy tunnel on his belly, his oofs and thuds echoing along with the mage’s laughter, all the way down to the Grangor’s feet. “I’m fine,” gasped the boy, and began again. The mage chewed with his mouth open. Reim’s fluffy white eyebrows did not rise with interest. Reim pressed one finger to his nostril and honked a frozen booger out onto the boy’s cheek. Insulted, the boy descended through the tunnels again. The Grangor sat by a little fire. “I don’t want to talk about it,” said the boy. “Trying again?” replied the Grangor. “Yes,” said the boy, and climbed again. In a tent made of Grangor skins and tusks, Reim waited until the boy’s teeth stopped chattering. “Your son was Mageborn,” whispered Samuel. The snow-blanketed silence filled the tent. Reim opened the flap of the tent. “Go home,” he grumped. Resolute, Samuel crawled outside and wrapped the furs back around his face. The soupy gray sky flashed with green and red streaks of light. “And be back at dawn!” bellowed the ice mage. Samuel grinned back at the tent as the flap fell closed. The Grangor people stood watch on a high icy shelf to watch the flames swallow the winding spires of Trostan. Smoke glittered around their faces and clogged their lungs as the city that had been the heart of the Gythian crystal trade turned into the mouth of hell. They threw Gythian gold down into the crevasse for safe passage for the dead. The coins had become, in one day, useless anywhere within a hundred miles. “The wise ones knew,” they sang in chorus. “Humans came to tear holes in the glaciers. They came to rip the crystal from the earth. They came to drink of the well,” continued the next-eldest in her shrill tone. “Our trophy-hunters traded with humans for steel,” called the next. “The city collapsed under its own greed,” crooned another. “Their ancestors lie too far to carry home their souls,” wailed the eldest. An icy blast from the peak above trembled the ground and broke their song. “Sisuuk!” screamed a Mother, gathering her kits close. All eyes turned away from the flames to look upward. Instead of an avalanche, though, what came forth along with the freezing wind was a man, his spine bent with age, spotted skin fragile as onion layers. His claw-like hand gripped a staff. Around his shoulders he wore the pelt of a Grangor. Though none of the Grangor had seen him before, they all knew of the elusive recluse. Reim, they called him, master of ice, devourer of Grangor, terror of the Kall Peaks. Though they outnumbered him by many dozens, the Grangor backed away, weapons at the ready, while the ice mage exhaled enraged breaths that crystallized into frost. “Where is the boy?” he growled. “His mother knows,” replied the eldest, but it was only an expression among the Grangor. It meant that a thing could not be known. With a sneer, Reim turned away from the Grangor and walked the path down the mountainside, grumbling to himself all the way. The river that bordered the burning city flowed black with ash. 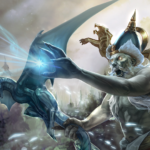 Reim struck his staff on the ground and the flowing water froze in place. He shuffled over it, coughing and hacking, into the city, waving his staff in irritation at the fires as he passed them. They sizzled and hissed into frozen, charred kindling. The city had bustled with trade and travelers that morning; now, only the livestock raced away from their burned enclosures to the rivers at either side of the basin. The mage choked the fires under his conjured frost one by one, leaving destroyed homes and businesses under thick sheets of ice, by turns calling out and mumbling to himself. He stopped to roll his eyes at the mage tower, resplendent in its ancient Gythian spires, the center of Trostan’s government. The top third had collapsed; the rest was a scorched husk of its former magnificence. This, too, he left frozen behind him. Round the town he traveled, tension rising in his voice. “Hey kid, you’re late! Where’d you get off to?” he continued until he reached the halcyon well at the center, the only thing unaffected by the flames. Noxious fumes rose from the burnt detritus of Trostan, drowned under ice. There, at the well’s edge, was a small woman with her face buried in the furry shoulder of a much larger Grangor. In one hand, she held a lantern that cast eerie shadows in the swirling ash. The woman turned her soot-stained face, mapped with tears, toward the stranger, revealing the singed remains of the robes of a High Mage of Gythia. Her shoulders rolled back, her chin tilted up, and though she was much smaller than the other two, the answer to Reim’s question had been answered.